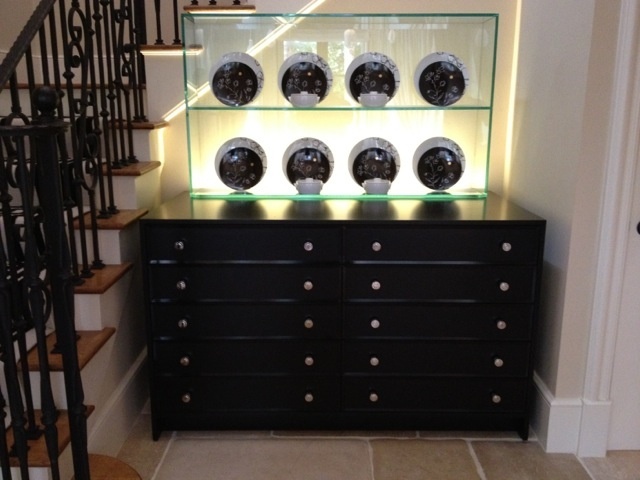 Top display case is made out of 1/2" thick clear glass with LED strip lighting. Lower cabinet is made out of Maple with Opaque satin lacquer finish. All drawers are lined in silver cloth.